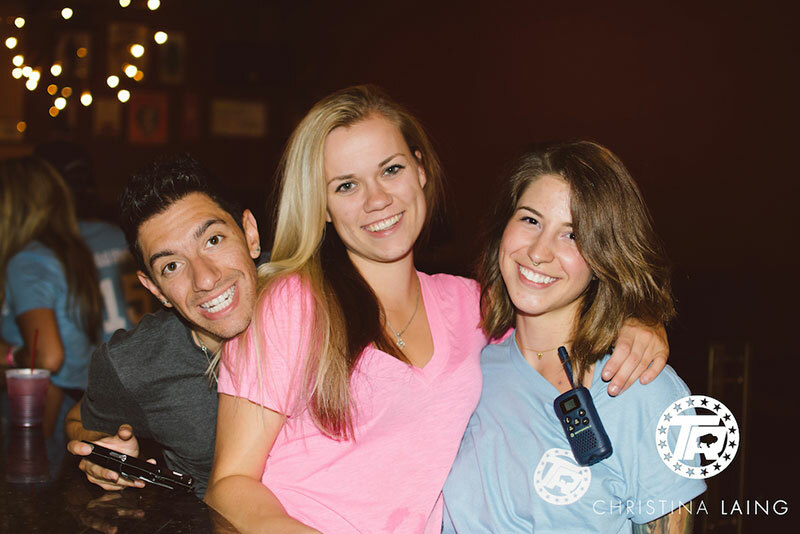 On Friday, August 7, We collaborated to present Live Printing in Buffalo with Team Radio creating customized shirts, tanks and baseball jerseys for the Team Radio and AraabMuzik fans. 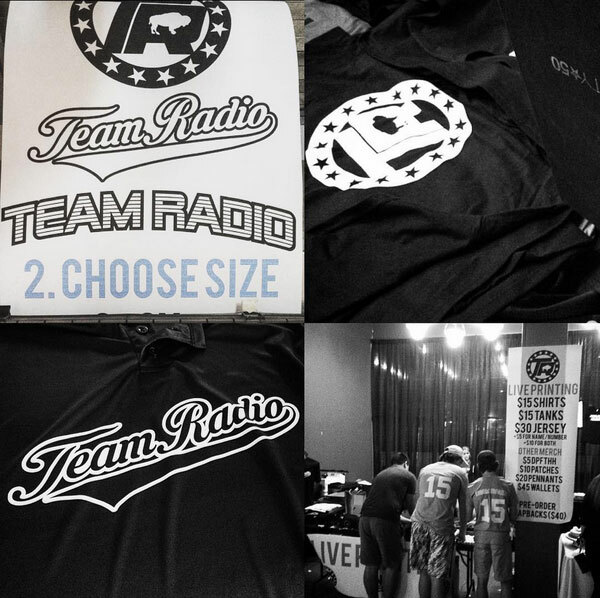 Following the theme and vibe of brand Team Radio with collaboration with head coach Chae Hawk we created a live printing event at their music showcase at the Town Ball Room in Buffalo NY and allowed customers to choose their logo, logo placement and give them the freedom to customize the shirt with their name and number on the back. 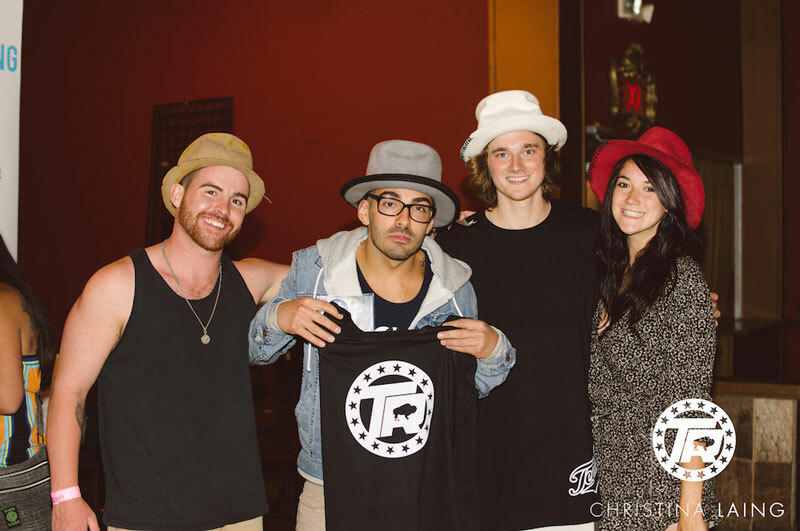 We are so excited to collaborate in the future custom apparel with Team Radio! Drum machine master Araabmuzik came to the Town Ballroom, presented by Chae Hawk’s Teamradio.net. Surveying the crowd, it was easy to tell that they came to party. DJ Heat kept things live with hit after hit, which the crowd responded to with some pretty outrageous dance moves. Openers Nameless did a fine job of warming up the already excited crowd with their scrappy original hip hop tracks, showing that they have the potential to do some damage on the local scene. Chae Hawk, who organized the party as his fourth annual summer Teamwork concert series, effortlessly delivered a highly tuned and emotionally charged set of all original music. He primed the crowd with a photo montage of friends and family, some of whom passed away earlier this year, including his good friends Craig Reynolds and Lance Diamond. He moved into a set of tracks from his latest record, Dance Party For The Heavy Hearted, as well as some newer collaborations with Nameless in his typically smooth fashion. Veteran Buffalo rapper Quadir Lateef made a surprise cameo to drop a two-minute long a capella freestyle, which turned out to be one of the highlights of the night. Araabmuzik took the stage but quickly ran into some techincal difficulties (that’ll happen when you’re running two MPCs). 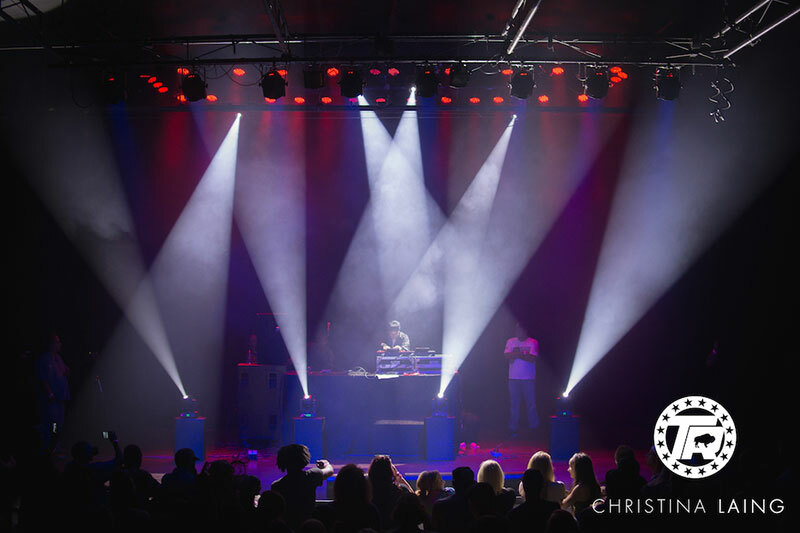 The Town Ballroom sound crew swiftly fixed his problems, allowing Araabmuzik to deliver a relentless set of trance-infected trap music that lit the audience on fire. His expertise on the MPCs was certainly worth the price of admission as he hammered out superhuman rhythms, flying through track after track without pause. Photographer Christina Laing captured the night.